Yes, longer hair is actually possible! Amazing isn’t it, that while the body function of scalp hair is to save the head from getting cold (head has no insulating fatty layers unlike other body parts), we love hair for the way these enhance our looks. After all, hair is not called ‘the crowning glory’ for nothing. • On an average, Asian scalp hair grows by about half an inch per month (that’s 6 inches per year). In contrast, African hair growth is about 4 inches per year and Caucasian hair growth is about 5 inches per year. • Healthy hair can stretch up to 30% of its length when wet! Long, silky, glossy hair is every woman’s dream. 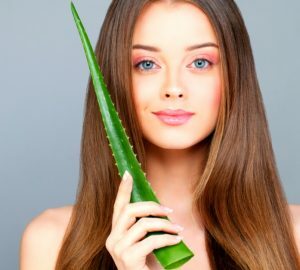 And now, with our 5 tips on how to grow your hair longer and faster, you too can enjoy long and lovely hair. 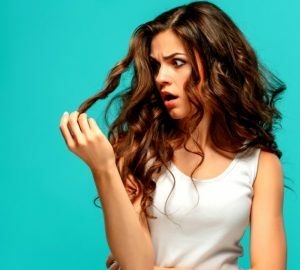 80% of your hair is made up of a protein called keratin. For your hair follicles to grow more hair length, lots of healthy protein is needed. So do make it a point to eat sufficient protein (eggs, pulses, meat, cheese, dairy) on daily basis. Similarly your hair follicles receive their nutritional needs through blood that flows through vessels in the scalp. If you are anaemic, the blood supply is hindered and your hair can’t grow well. Add leafy greens, nuts, red meats, seafood and beans to your diet to get more iron into your blood. Vitamins (especially vitamin B5 & Biotin) and the mineral zinc are also essential for healthy hair growth. You can further enhance good effects of your healthy diet with carefully chosen dietary supplements. For faster hair growth, we recommend WOW Biotin Dietary Supplement. As we stated just a while ago, healthy blood circulation goes a long way in boosting hair growth. Add to it the nutritional benefits of a worthy hair oil (read: no mineral oil, only premium botanical oils and bioactives) and your scalp gets a lot of encouragement to grow longer hair. Results become even better if you give your hair steam towel treatment (oil, wrap a hot wet towel around head for 3-4 minutes) and leave the oil on scalp overnight. We recommend WOW 10-in-1 Active Miracle Hair Oil that contains clinically proven hair loving bioactives – Extra Virgin Olive Oil, Sweet Almond Oil, Moroccan Argan Oil, Jojoba Oil, Grapeseed Oil, Safflower Oil, Bhringraj Extract, Vitamin E, Rosemary Essential Oil & Tea Tree Essential Oil – to help your hair grow longer and stronger. By the way, all the bioactives in this superb hair oil are Ecocert certified organic. Yes, stress and tresses have a linkage. Stress means disrupted hormones that are directly linked to hair growth. Stress also means manifestation of psychological and physical disorders that need taking medicines – antidepressants, antibiotics, painkillers, immune-suppressants etc – that disrupt healthy hair growth. So stay stress free and do your tresses a favour. Try yoga, meditation, sports, aromatherapy or anything you enjoy for stress busting. We recommend WOW Essential Oils – especially Basil, Ylang Ylang and Geranium – for stress reduction. Aromatherapy using essential oils is an old way of finding stress relief. It may sound odd but to grow hair longer, you need to trim their ends every six weeks. Why? Because not trimming means split ends that means more damage along the hair shaft which in turn means longer trimming (and shorter hair) later. To avoid this trim your hair just about 1/8th of an inch every six weeks or so. Another good idea to reduce split ends is to use hair products powered with healthy bioactives that will help keep split ends at bay. We recommend WOW Hair care Combos that come with a WOW Shampoo , WOW Hair Conditioner, WOW 10-in-1 Hair Oil and WOW 10-in-1 Hair Revitalizer for complete hair care and healthy, fast hair growth. Remember you aren’t Harry Potter who could grow his locks longer just by getting angry! Muggles like us have no choice but to be patient. Your hair will not grow overnight or even over a fortnight. Just continue taking care, using the right products, eating the right food, taking the right dietary supplements and staying stress free. Trust us; your hair will reward you by growing longer and lustrous with time. Dark Circles & Dark Spots Marring your face? Clear up both with this awesome duo from Wow!